Post Carbon Institute has published a report and multiple related resources calling into question the production statistics touted by promoters of hydraulic fracturing (“fracking”). By calculating the production numbers on a well-by-well basis for shale gas and tight oil fields throughout the U.S., Post Carbon concludes that the future of fracking is not nearly as bright as industry cheerleaders suggest. The report, “Drilling Deeper: A Reality Check on U.S.Government Forecasts for a Lasting Tight Oil & Shale Gas Boom,” authored by Post Carbon fellow J. David Hughes, updates an earlier report he authored for Post Carbon in 2012. Hughes analyzed the production stats for seven tight oil basins and seven gas basins, which account for 88-percent and 89-percent of current shale gas production. -By 2040, production rates from the Bakken Shale and Eagle Ford Shale will be less than a tenth of that projected by the Energy Department. For the top three shale gas fields — the Marcellus Shale, Eagle Ford and Bakken — production rates from these plays will be about a third of the EIA forecast. -The three year average well decline rates for the seven shale oil basins measured for the report range from an astounding 60-percent to 91-percent. That means over those three years, the amount of oil coming out of the wells decreases by that percentage. This translates to 43-percent to 64-percent of their estimated ultimate recovery dug out during the first three years of the well’s existence. -Four of the seven shale gas basins are already in terminal decline in terms of their well productivity: the Haynesville Shale, Fayetteville Shale, Woodford Shaleand Barnett Shale. -The three year average well decline rates for the seven shale gas basins measured for the report ranges between 74-percent to 82-percent. 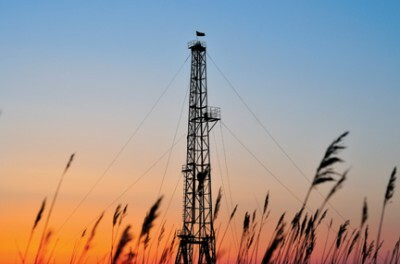 -The average annual decline rates in the seven shale gas basins examined equals between 23-percent and 49-percent. Translation: between one-quarter and one-half of all production in each basin must be replaced annually just to keep running at the same pace on the drilling treadmill and keep getting the same amount of gas out of the earth. The report’s findings differ vastly from the forward-looking projections published by the U.S. Energy Information Agency (EIA), a statistical sub-unit of the U.S.Department of Energy (DOE). The findings also come just days after Houston Chronicle reporter Jennifer Dlouhy reported that in a briefing over the summer, EIA Administrator Adam Sieminski told her it was EIA’s job to “tell the industry story” about tight oil and shale gas production. The independent story, though, opens up a window to tell a different tale. “The Department of Energy’s forecasts—the ones everyone is relying on to guide our energy policy and planning—are overly optimistic based on what the actual well data are telling us,” Hughes — a geoscientist who formerly analyzed energy resources for over three decades for the Geological Survey of Canada — said in a press release about the reporting’s findings. According to Hughes’ number-crunching, four of the top seven shale gas fields have already peaked: the Haynesville, Barnett, Woodford and Fayetteville. But three of those are actually doing the opposite and increasing their production: the Marcellus, Eagle Ford and Bakken, though the latter two are primarily fracked oil fields. Further, the report points to the phenomenon first discussed in the original Post Carbon report back in 2012: that of the “drilling treadmill,” or having to drill more and more wells just to keep production levels flat. The report argues that drillers hit the “sweet spots” first to maximize their production, do so for a few years until production begins to decline terminally, and then start drilling in spaces with less rich oil and gas bounties. A case in point: Post Carbon projects the Bakken and Eagle Ford Shale basins — the two most productive oil plays — will produce a minuscule 73,000 barrels of oil per day in 2040. EIA, meanwhile, says 1.04 million barrels per day of oil will be pumped from the ground at that point. The Bakken and Eagle Ford serve as Exhibit A and Exhibit B of the mechanics of how the “sweet spot” phenomenon works in action. EIA Guessing at Numbers and Figures? So where do the EIA’s rosy statistics originate? Post Carbon Institute posed its own questions directly to the EIA, while also saying one has to look at the difference between proven and unproven reserves to understand EIA’s data. Also implicit in the rosy numbers and figures is that cash will continue to be injected into capital-intensive shale gas and oil production operations. So far, the industry and its financiers have received a blessing from the U.S.Federal Reserve: zero-percent interest rates to obtain junk debt bonds to finance fracking since 2008. But with the Federal Reserve considering hiking rates, economics could change quickly on the feasibility of continued unfettered shale oil and gas extraction. Hughes said his findings are based on “best case scenarios” and rule out external conditions that could reverse the drilling treadmill, including hiked interest rates. The Obama Administration’s climate and energy policy rides on the assumption of decades more domestic oil and gas obtained from fracking. Asher Miller, executive director for Post Carbon Institute, said the enthusiasm in what to some may seem like a nearly infinite future of shale oil and gas is a “false premise” that has manufactured “false promises.” Hughes echoed these sentiments in the report’s conclusion. “The assumption that natural gas will be cheap and abundant for the foreseeable future has prompted fuel switching from coal to gas, along with investment in new generation and gas distribution infrastructure, investment in new North American manufacturing infrastructure, and calls for exporting the shale gas bounty to higher-priced markets in Europe and Asia,” he wrote. “Given these assumptions—and the investments being made and planned because of them—it is important to understand the long-term supply limitations of U.S.shale gas,” Hughes suggests.